Home Anatomy and Body Why Does My Back Crack So Much? While some people love to have their back cracked, other people absolutely hate it. Your back consists of different vertebrae that are cushioned by discs in between each vertebrae. The entire goal of your spine is to support your body and allow you heightened mobility. If you suddenly notice your back racking all of the time, then you may wonder if there is a deeper reason why this could be happening. If it frequently cracks, you may even become concerned that a serious medical condition could be at fault. We will cover some of the most common reasons why your back may crack so often. While it is natural for your back to crack, you may be worried if it does it fairly often. Normally, the cracking sound happens when the soft tissues moves across the bones or each other. As they move, they make a popping or cracking sound. In general, this is a perfectly normal experience and no reason to worry unless you have other symptoms as well. One of the most common reasons why your back may crack is because of normal joint movement. You often turn, twist or bend during the day. Normally, your vertebrae moves perfectly fine as you do. On occasion, a vertebrae slips or is just a little off center. This can cause a cracking sound as the vertebrae and tendons slip against and over one another. You may feel this in any part of your back. This experience is particularly common in people who have laxity of joints or hypermobility. Your back is made up of discs and vertebrae. These basically serve as tiny joints that have fluid in between each other to lubricate them. This lubrication fluid is known as synovial fluid. In reality, this fluid is actually made of gasses like oxygen, carbon dioxide and nitrogen. The popping sound that you hear occurs when gas is released after the pressure starts to build up in the joints. There is a capsule between your joints that stretch and move in a direction whenever you move. Over time, the gasses start to build up. Then, they crack whenever you pop that joint. It is like when you crack your toe or finger knuckles. You cannot crack the same finger in a short time period because the gas has not had time to build up again. Unlike the knuckles, the back sometimes has gas that builds up quicker, so you may be able to pop it again after just a short period of time. 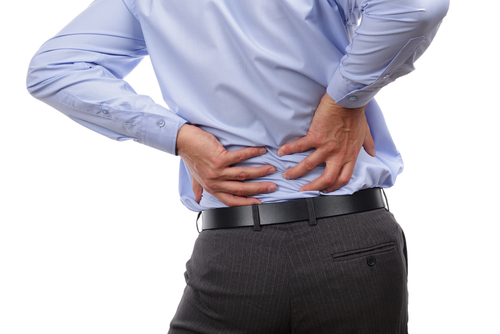 One of the most common medical conditions that causes excessive back cracking is arthritis. Over time, the cartilage that cushions your vertebrae starts to break down. This causes excessive popping and cracking. If this is the reason why your back cracks so much, then you should go to your doctor to be checked out. The cartilage will only break down more as time passes, so you need to make sure to get treated as early as possible. Arthritis can also cause significant pain, so it is important to get checked out by your doctor. While cracking in your back is most likely harmless, you probably do not want to deal with it all the time. As long as you do not have pain or a back injury, you can try treating your back ailment using one or more of the following techniques. If home remedies do not work, then you should go to your doctor. You may want to go to the doctor anyway to make sure that a more serious condition is not causing your back problems. Your doctor may prescribe medication like muscle relaxers, anti-inflammatory medication or steroid shots. They may also recommend physical therapy. In serious cases, surgery may even be recommended. Your joints need fluid to be properly lubricated. If gas is building up and causing excessive back cracking, then you might be suffering from low fluid levels. If your popping only recently increased, try boosting your fluid intake for several days to see if it goes away. There are supplements and fluids that can help promote your joint health. These foods have natural anti-inflammatory properties that help your back to feel its best. This includes foods like vegetable juices, fresh berries, tart cherries, tomatoes and pomegranates. Fresh, wild-caught, cold-water fish like salmon can also help. When your tendons and muscles become tight, it can cause your back to pop more often than normal. Light stretches can help to loosen these muscles, but don’t overdo it. Easily, gently stretch your back with general stretches or yoga. Heat can help to loosen tight muscles and alleviate pain. Try taking a hot shower to relax the muscles in your back and unwind. You can also use essential bath oils or Epsom salts in warm bath. Some people also use a heating pad to help alleviate back pain. Should You Crack Your Back? It is not a good idea to crack your back. While doing it once probably will not hurt your back, it can end up causing problems. When you deliberately crack your back, you are causing the vertebrae to spread apart and the gas escapes. If you keep cracking your back, you can decrease the stability in your joints and cause them to become loose. In some cases, you can even cause a back injury by cracking your back. If you feel like you need to crack your back, go to someone who knows what they are doing. Talk to your doctor, a chiropractor, massage therapist or physical therapist. If you try to crack your back on your own, you can cause sciatic nerve pain or chronic back pain. To prevent your back from becoming injured, only let a professional medical practitioner crack your back. When in doubt, schedule an appointment with your doctor.